Our services include free advice, helping you to deal with important matters such as the Will and organising your loved one’s affairs. Co-op Funeralcare customers are supported by Co-op Legal Services which helps individuals and families deal with legal matters after a loved one has died. For free initial advice and guidance call Co-op Legal Services on 0330 041 7713 or request a call for assistance. Co-op Legal Services can pay all the costs of a Co-op Funeralcare funeral, when you choose to instruct Co-op Legal Services to deal with Probate and the administration of the deceased persons’ Estate; providing that the Estate has sufficient assets which can be sold to repay our costs in due course. There are no upfront costs to pay. There will be no nasty surprises. A free, in-home visit is available in England or Wales with one of the Co-op’s Probate Consultants who can answer your questions, discuss what needs to be done, and provide you with a Fixed Fee Probate quotation in writing. When Co-op Legal Services has provided you with a written quote for the agreed work to be done, that price will not change, unless the original information provided is shown to be incorrect or circumstances change. For more information see Probate Complete Service. Before you finalise funeral arrangements we recommend that you search for a copy of the deceased’s Will to find out if the deceased had specified any particular wishes. If you don’t know where the Will is, or whether one was made, Co-op Legal Services can help you. If you are an Executor appointed in the deceased’s Will, or a family member who wants the responsibility where a Will wasn’t written, it pays to know what is expected of you. · Distributing the residue of the Estate to the beneficiaries. Co-op Legal Services can take all the responsibilities off your shoulders and carry out all the work necessary to complete matters as quickly and effectively as possible. Our legal team offer fixed fees with no upfront costs to pay and are regulated by the Solicitors Regulation Authority. With 20 specialist Probate Solicitors and over 150 Probate specialists who only deal with Probate, Co-op Legal Services are one of the largest providers of Probate and Estate Administration services across England and Wales. 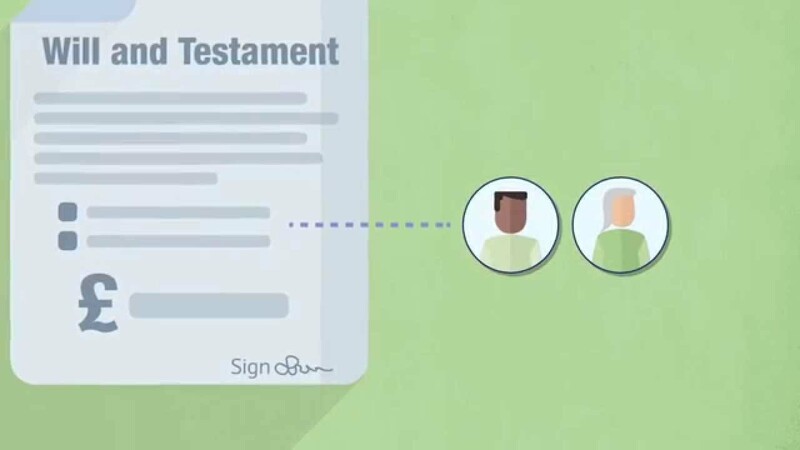 For more information about Wills and Probate watch our short animated video below.